This 1960’s 36mm. 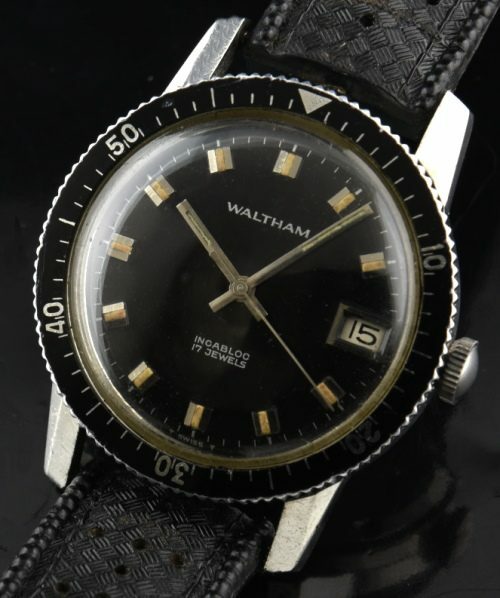 Waltham Dive watch with original black dial and baton hands has an amazing looking dial! The steel case with beveled lugs looks quite good-only superficial marks from normal use. The turning bezel is original and very clean. The manual winding WALTHAM movement was just cleaned and accurate. You have to see this amazing dial in person!